So, I’m back to cranking out chapters of my serial this week, and this time, I hope to do it a little faster. The quicker I finish the serial, the easier it will be for me to focus on other projects, I think. Anyway, something is happening as I write that I think is worth mentioning, because I sincerely doubt that I’m the only writer to experience it. 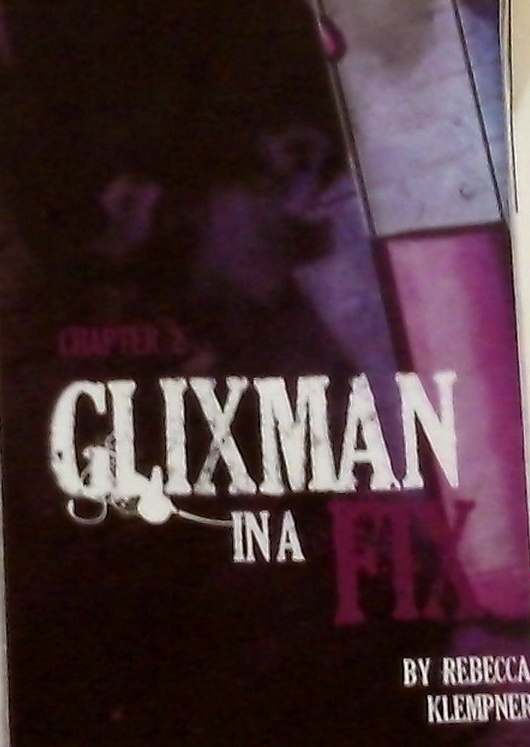 In order to secure my gig to write my current serial for Binah BeTween (“Glixman in a Fix”), I had to prepare an outline. Once that was approved (along with character profiles, the summary, and so on), I started writing. Generally, I write the serial episodes — I might have mentioned this before — in blocks of three, basing them on the outline. Because I’m working from an outline, with characters who are now well known to me, the writing goes relatively quickly. Then I revise the rough drafts once or twice and send them together in a batch to the editor. We’re now more than a third of the way in, and more and more often, I find that I’m diverging from the outline. Most of those changes started off small. A lot of them involved timing — moving an event up, switching two scenes, that kind of thing. Sometimes I altered what was in the outline to make it more logical, other times, I wrote something more in tune with the psychology of the character. The tweaks also kept everything fresh as I was writing text based on an outline that was already several months old. Uh…what did I say three weeks ago? Now, all those changes are beginning to add up. I can no longer count on the outline when writing my three episodes this week. I’ve had this happen before, by the way, while writing a novel (which is still unpublished…). But it didn’t bother me so much with the novel, because if the changes I made didn’t suit me later during the writing process, I could always revert to the initial draft. However, in a serial that is running already (I’m usually about 4 to 8 weeks ahead of what’s in each week’s Binah BeTween), I can no longer change what the audience has already seen. Those readers will hold me accountable if I forget to include the new details I introduced between outlining and writing. I’m a little freaked out. At first, I was able to keep track of the changes in my head, but I’m afraid I’m a little past that stage now. I’m planning a couple bigger changes in the chapters I’m writing this week that will have significant consequences down the line. So today, I started writing them onto the outline: Next to “Episode 17, scene B” I wrote, “Moved this scene earlier.” In the margin next to “Episode 18, scene A” I scribbled about changing the setting and removing one character from the conversation. I may end up rewriting the entire second half of the outline in the end. Have you ever diverged from the outline on a large-scale project? How did you keep track of the changes? Please comment!